All of this talk of the Political Science degree may leave international students scratching their heads and wondering what is Political Science exactly? Political Science is a social science that focuses on government institutions and political behavior, but how exactly did it come about? And why should you study it today? What is the history of Political Science? Even though social sciences weren't academically recognized as such until the 1800s, the concept of Political Science has been around since ancient times. Ancient Greek philosopher Aristotle is actually credited with coining the term "Political Science." In ancient times, this type of political thought, considered to be synonymous with the discipline of political philosophy, was a guide for rulers on how to govern their subjects. Aristotle’s thoughts were drawn from his conclusion that governments should seek to benefit the general wellbeing of a population, as opposed to that of certain individuals. 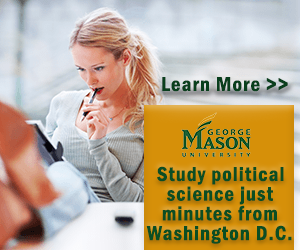 What is Political Science Today? While present day academics in the Political Science field have the capacity to follow in the footsteps of their predecessors and once again shift the focus of the discipline, the term "Political Science" is most commonly referenced in the United States today in regards to the electoral process. Particularly in a big election year, such as the 2012 Presidential election year, every major media outlet has a political scientist on call to commentate about likely voter reactions to the candidates' stances on hot-button issues. The behavioral models that political scientists create can practically forecast the outcome of an election before Americans cast a single vote! Another common context for "political science" today is in regards to the Political Science degree. International students striving to achieve a Political Science degree should have a love of politics and an interest in the way the government works. Since Political Science is among the social sciences, the Political Science degree program is under the umbrella of the Liberal Arts department at most colleges and universities. Most colleges feature Political Science degree programs; in fact, it's quickly becoming one of the more popular undergraduate majors among international students. Majors are typically able to tailor their Political Science degree program to their interests, but most universities require students to take classes in staple sub-concentrations, such as American Politics, Comparative Politics, and Political Behavior. Students graduating with a Political Science degree will be prepared for a variety of career fields, including, but certainly not limited to, journalism, law, and politics. Throughout history, some of the world's greatest minds have studied Political Science; if an international student is interested in following in their revered footsteps, he or she should consider earning a Political Science degree!